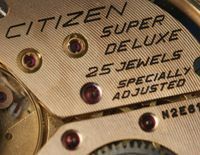 In the early 1970’s Citizen used a range of different materials in their watch cases and bezels. The black PVD coatings began to appear and that soon became an established finish for many sports style models. 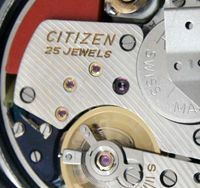 But Citizen also used some rather more exotic materials, including wood and agate, typically encasing a 6500 / 6501 movement. This is an example of the kind of design which emerged in the early 1970’s – not necessarily to everyone’s liking of course, but nevertheless evocative of the period when more traditional design conventions were challenged. 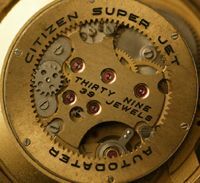 This entry was posted in Vintage Watches and tagged Vintage Citizen Automatic. Bookmark the permalink. Hola y gracias por visitar mi blog. Lo siento por la respuesta tardía, pero no he tenido acceso a mi pc para un par de días. Si entiendo tu pregunta creo que pides cuál es el valor de un reloj como este. Esto es muy difícil, puesto que los valores pueden variar mucho. La mejor manera de comprobar es buscar para las subastas, incluyendo subastas completadas, para ver qué ejemplos similares se han vendido por eBay. English version: Hi and thanks for visiting my blog. I’m sorry for the late reply, but I have not had access to my pc for a couple of days. If I understand your question I think you are asking what the value of a watch like this is. This is very difficult, since values can vary a great deal. The best way to check is to search eBay for auctions, including completed auctions, to see what similar examples have sold for. 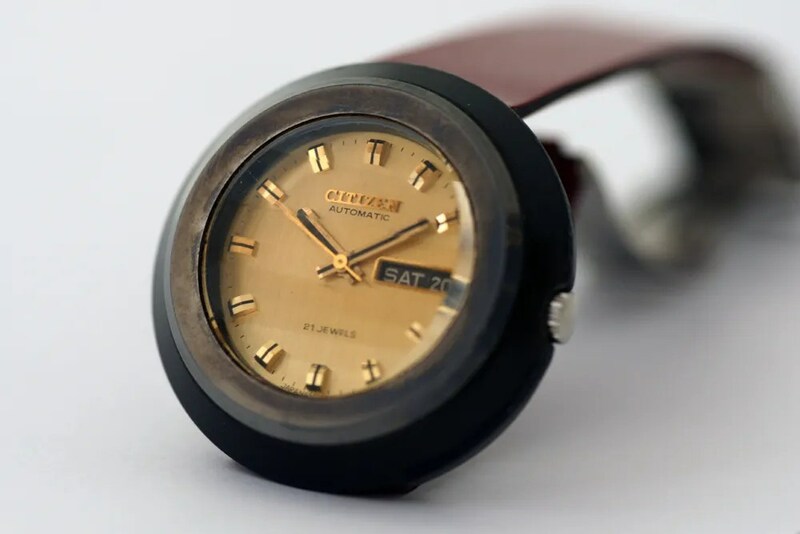 I’ve just acquired a watch that is pretty similar to this one, although not the same, and I’d love to send you images and the info I have about it; maybe you can tell me more about it. 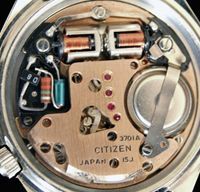 It also has a 6501 movement. Is there an e-mail I can write to? Hi Stephen, havent spoken to you in awhile! I received got hold of a 6501 with a case back marking of BLS. I understand that this means a black case with SS bezel. Does this also mean that the case is also SS, but PVD-ed? 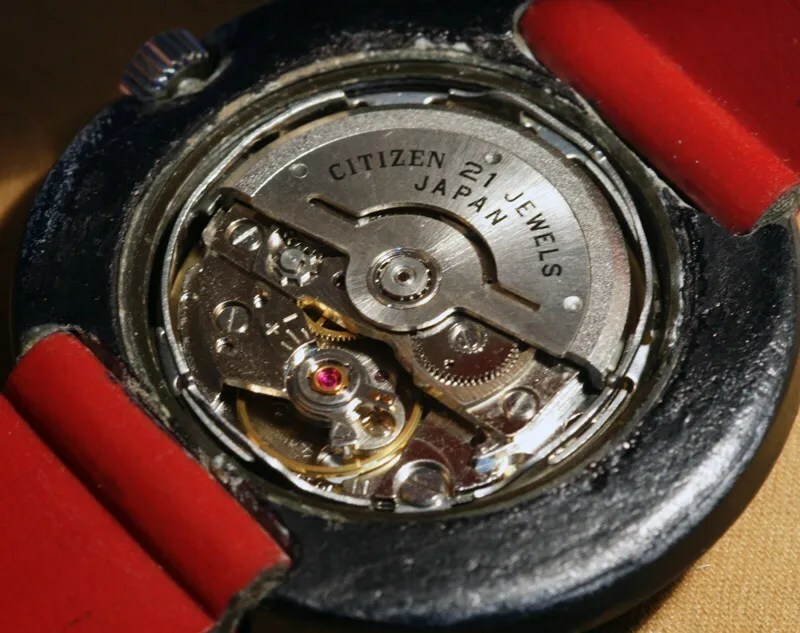 The PVD coating is really durable for its age, or perhaps the previous owner took really good care of it. Another question I had is how do I quick change the Day? The Date can be fast forwarded at the first pull, but not the date. I was wondering if we had to go through the method of winding it past midnight then back again, and repeat in order to quick change the day? 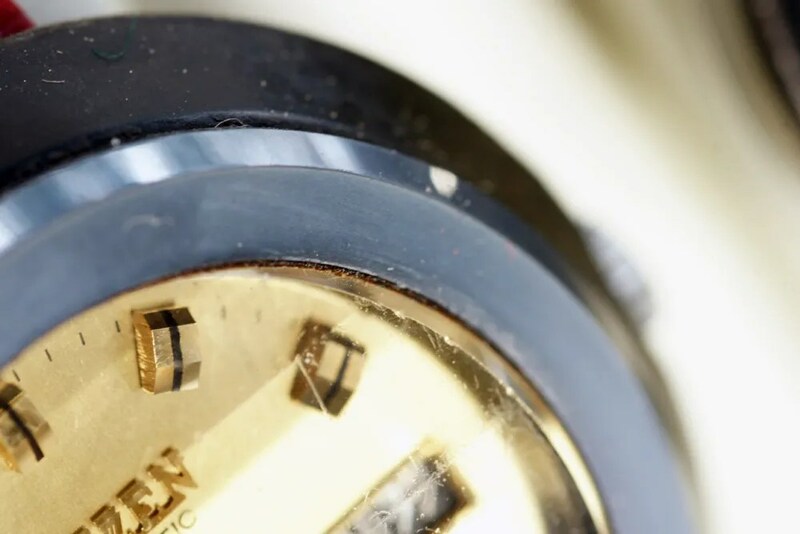 My watch looks similar to yours externally and the dial has a vertical stripe running through it in the middle (similar to the Chronomaster Elite Special). It also has a faceted crystal and the dial fades to black at the edges from a center of brown. Excellent response. I’ll send you some photos of it via email. You might be able to tell me more about it! Its a pretty fun beater watch to have around. Hi, Stephen. What year exactly Citizen Cal. 6501 was manufactured? 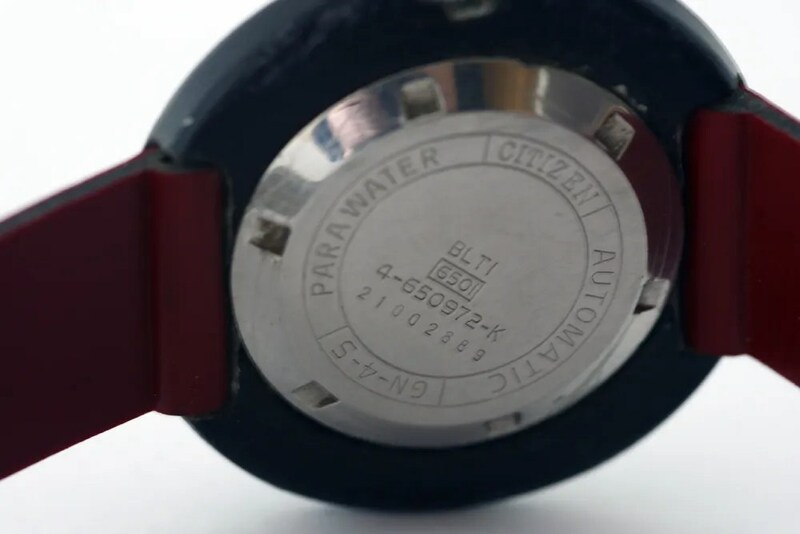 I own a parawater Citizen with Cal. 6501, the dial is almost similar like that you posted above but with different case. From 17jewels.info I got informed that Cal. 6501 is from mid-sixties. But the ranfft.de site wrote that the caliber 6501 is from 1971. 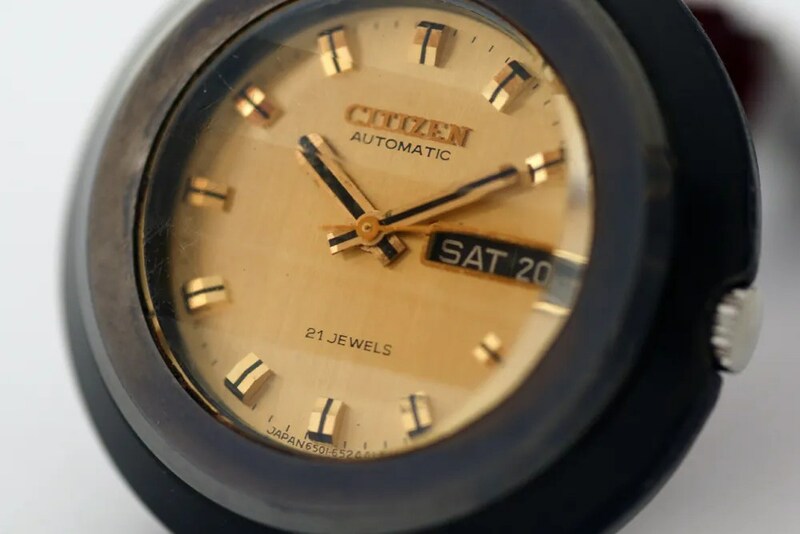 I also read articles about vintage Citizen dating (vintagecitizenwatches.com), the term “Parawater” was changed to the universally recognized “Water resistant” somewhere around 1970-1973. Previously I guessed that my vintage watch is from 1961 (based on the caliber and serial number on the case back). But what makes me doubt is the dial design. It looks from 70’s rather than 60’s. So what do you think? It is this from 1971 or 1961? 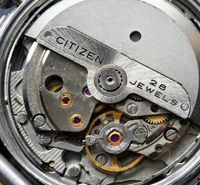 Your model has a different kind of serial number from the usual type – it gives the full year of production – 1971 – and the ’11’ tells us it was November of that year.